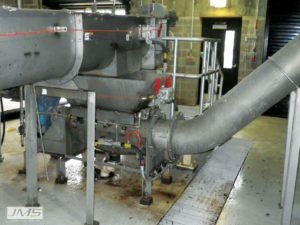 At wastewater treatment plants the need for the reduction of both the volume and weight of headworks screenings is a key design element, and a significant factor in plant operational costs. 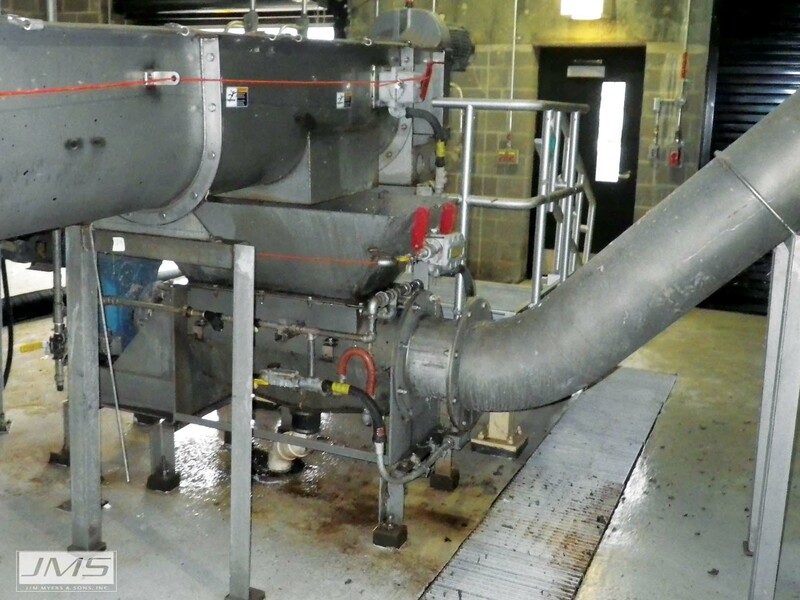 Screenings washer compactors are designed to meet this need under challenging conditions. The material characteristics of screenings from coarse or fine mechanical screens can vary significantly. This is where the JMS Delta-COMPACTOR (Screening Compactor) comes in. The loose material contains various solids, organics and substantial amounts of water. 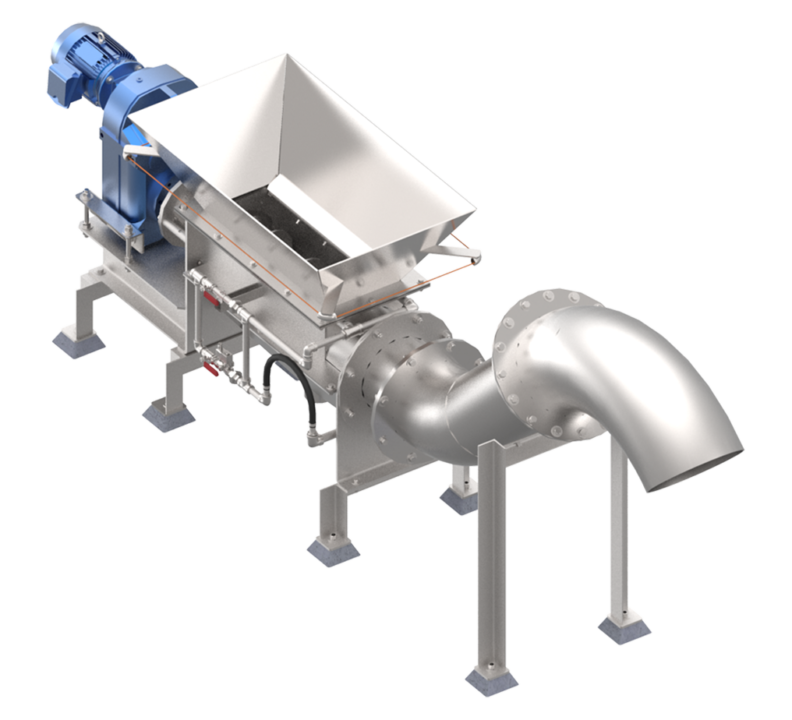 Screenings washer compactors are designed to receive screenings from primary screening equipment, a conveyor, or sluice trough. Varying in design, they all use a compacting screw mechanism to wash and dewater screenings. This results in reduced organics content, volume, and weight resulting in a substantial reduction in hauling and landfill costs. 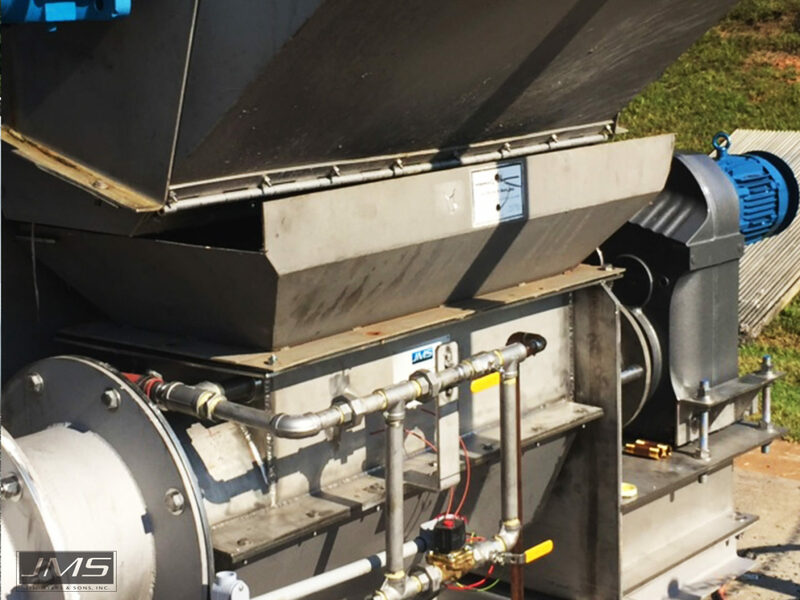 Dual spray wash headers aid in organics removal and a variable pitch cantilevered screw supplies compaction power and consistent feed to the compaction zone. 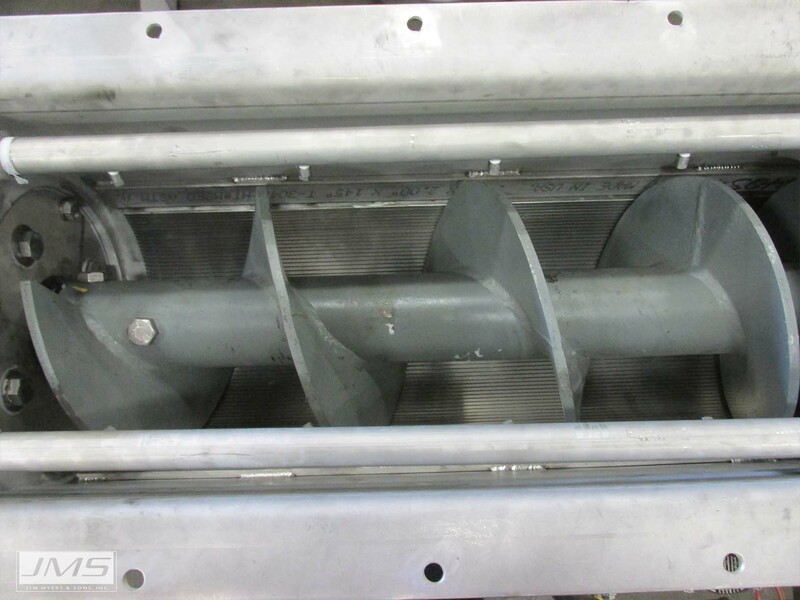 The JMS radial thrust and bearings with tension bars are designed to keep back pressure from the compaction process from impacting the gear motor. Individual profile bars that are custom sized for coarse or fine screen applications, allow liquid with high organics content to pass into a catchment tray and on to the drain. A bullet nose on the end of the screw helps maintain alignment as the plug forms at the end of the compaction zone. JMS has been designing and manufacturing the Delta-COMPACTOR (Screening Compactor) for decades and has installations nationwide for both coarse and fine screenings applications. Over the years, the JMS design has evolved into a robust and functional system utilizing key design components that are proven to lower both initial capital and long-term operational costs. 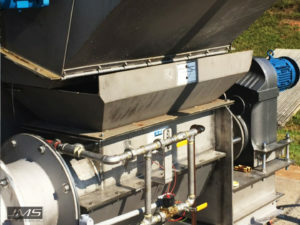 JMS heavy duty variable pitch compacting screw, stainless steel profile bar screen, and dual spray wash headers work together to reduce organics, dewater, compact, and convey high solids material for disposal. 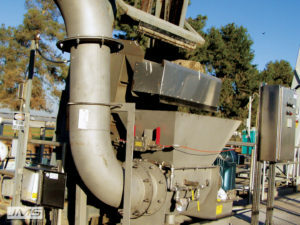 Within the housing of the Delta-COMPACTOR (Screening Compactor) the processes of organics reduction, dewatering, compacting, and conveyance are initiated. 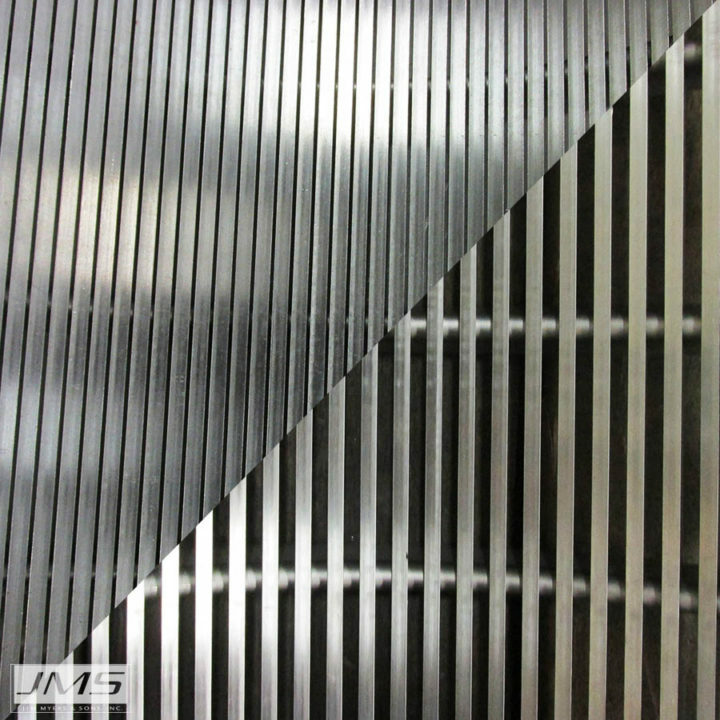 JMS has pioneered upgrades in this area to ensure trouble free performance. 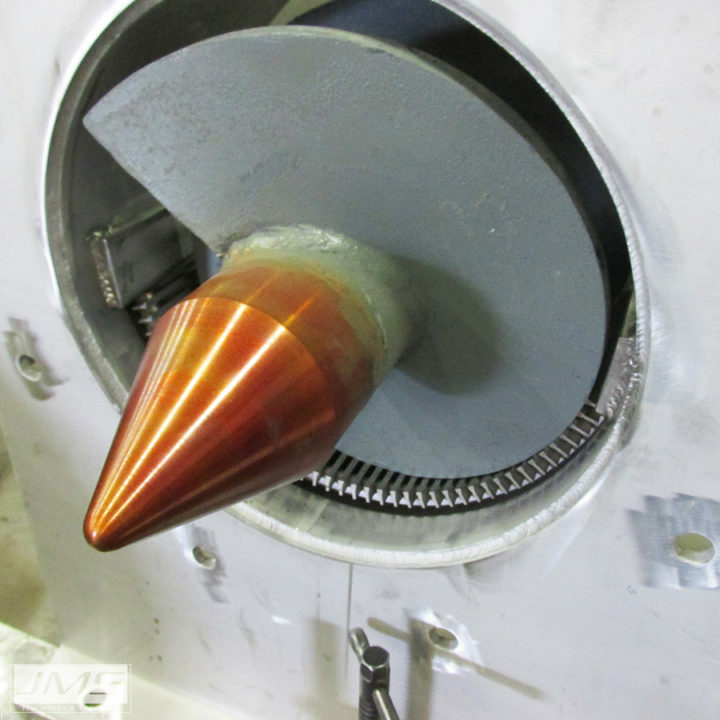 A 0.25” thick shell houses a variable pitch cantilevered screw that supplies compaction power and consistent feed to the compaction zone. To maintain screw alignment, a heavy duty hollow shaft gear reducer provides extended shaft engagement into the screw’s pipe shaft. 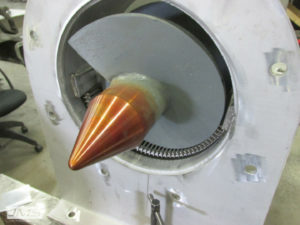 A bullet nose on the end of the screw also helps maintain alignment. 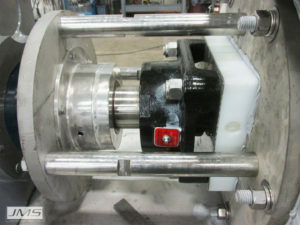 Independent radial and thrust bearings with tension bars are designed to keep excessive back pressure from the compaction process from impacting the gearmotor. 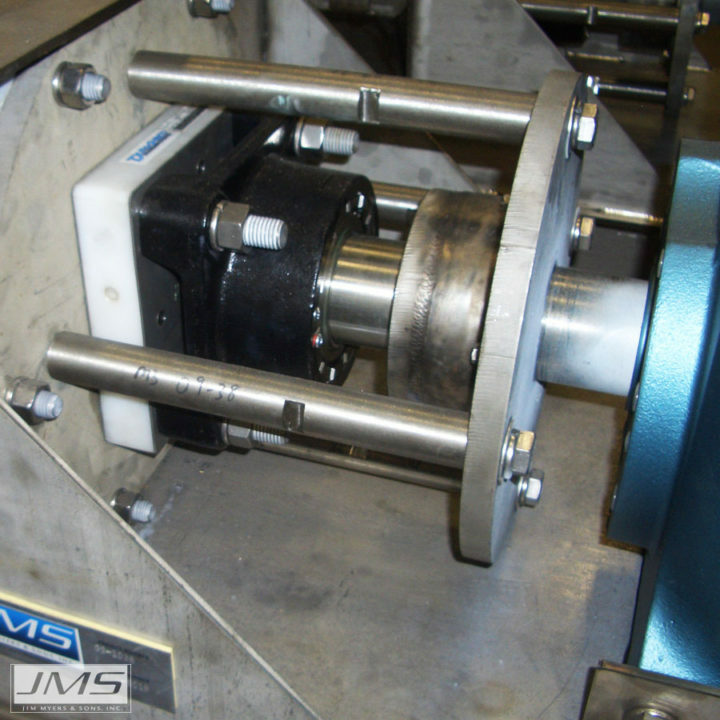 The JMS adjustable alignment feature is provided to adjust and maintain alignment of the screw at the gearmotor end. The Delta-COMPACTOR (Screening Compactor) receives screenings directly from a bar screen, belt or screw conveyor, or sluice trough. 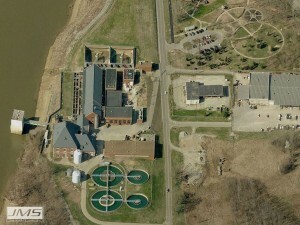 In this zone organics removal and dewatering take place. Individual profile bars that are custom sized for coarse or fine screen applications, allow liquid with high organics content to pass into a catchment tray and on to the drain. This tray is removable for visual inspection and access to the wedgewire. Dual spray wash headers also aid in organics removal. Special JMS features that keep the screw aligned also allow for fine tolerance spacing between the screw and wedge wire profile bar screen. This close tolerance, along with the dual spray headers, keep the screen clean, eliminating the need for brushes. Typically, up to 90% organics removal and up to 80% reduction in volume are achieved. Evansville, Indiana was founded in 1812 on a scenic bend in the Ohio River. With more than 350,000 residents in the metropolitan area, it is the third largest city in Indiana and an economic hub for the region. To serve the area, a vast system consisting of over 500 miles of sanitary sewers supplies two wastewater treatment plants, the East and West Plants. 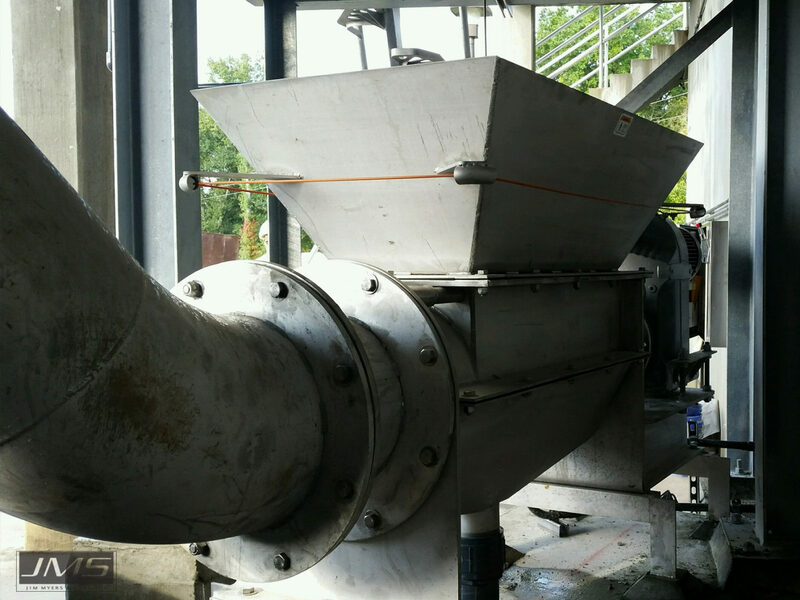 Solids removal and handling is an important consideration in both plants. 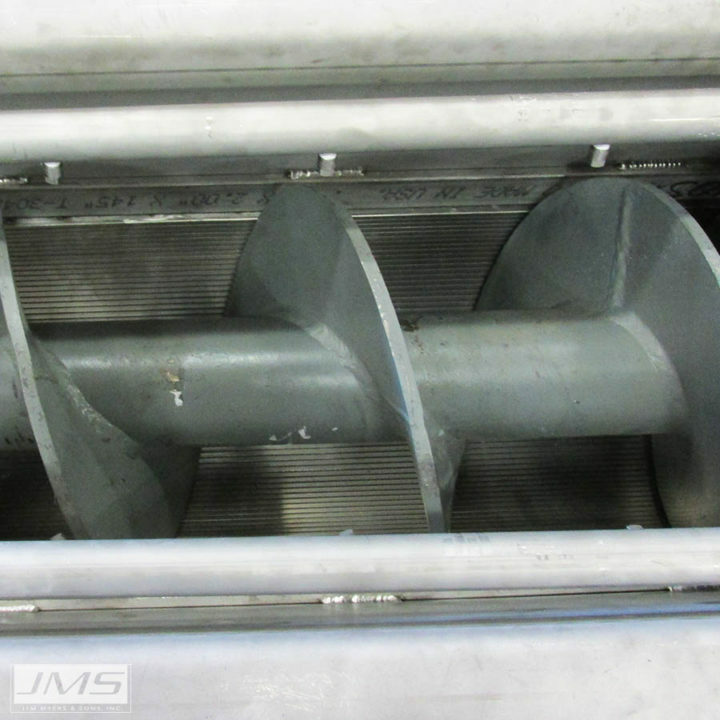 Installations of competitive Washer Compactor equipment had not been successful for the East Plant, so they turned to JMS for a solution. 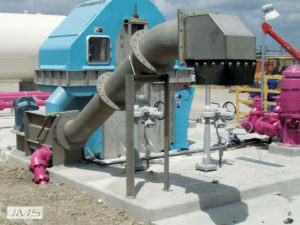 Two JMS Delta-COMPACTOR (Screening Compactor) screening washer compactors were installed to receive screenings, and discharge high solids material for disposal. Results over the past five years have been a demonstration of JMS equipment performance versus the competition. The Plant Manager, Joe Dickman is happy with both his relationship with JMS and the Delta-COMPACTOR (Screening Compactors) supplied. He is very pleased that the new compactors just keep running, with no clogging issues. 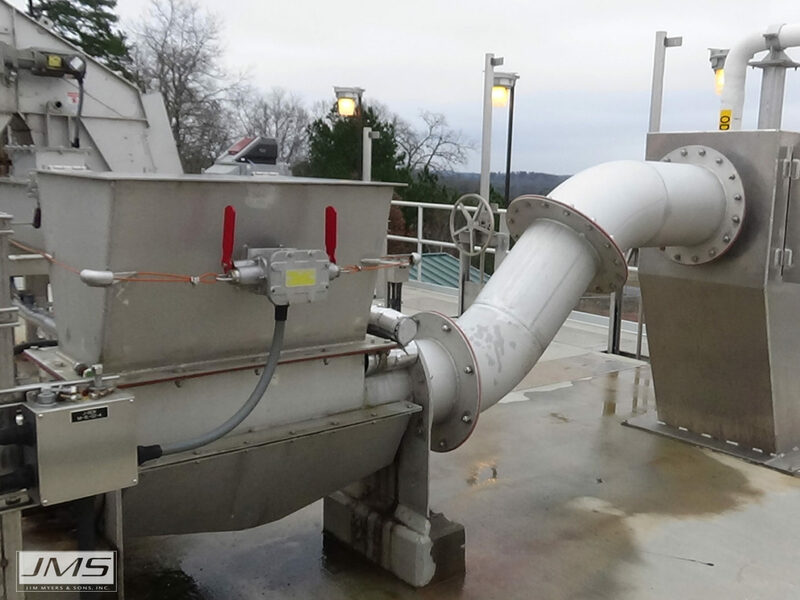 The city of Evansville was so satisfied with the JMS equipment, they have installed an additional Delta-COMPACTOR (Screening Compactor) at the city’s West WWTP.